240V Single phase model - Maximum running current 8.7 amps, we recommend the MCB circuit breaker controlling this circuit is a type D circuit breaker rated at 16 amps, if you are not sure contact us for help. 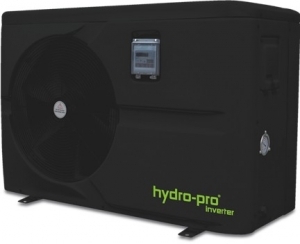 Suitable for heating swimming pools up to 40 cubic metres the Hydro-Pro inverter 10 model gives a maximum heat output of 11kw. Using these pool heat pumps is a far cheaper way of heating your swimming pool compared to electric only and gas boiler heating systems. 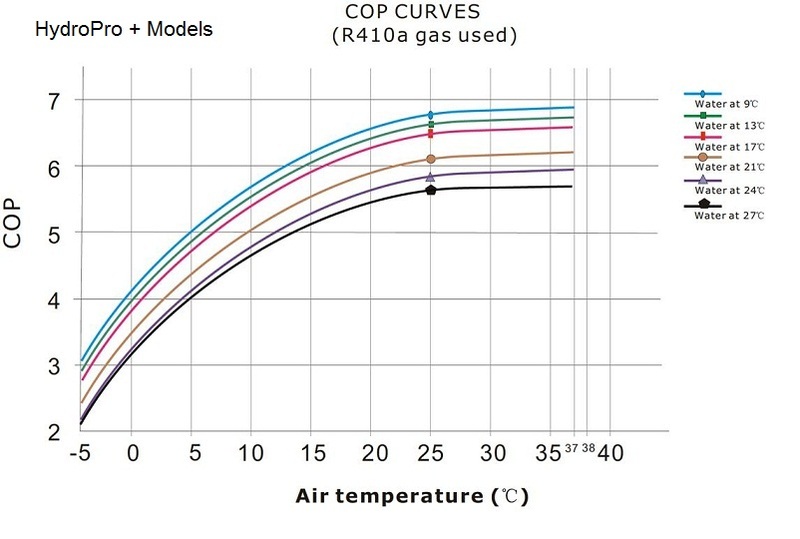 This pool heat pump has a COP efficiency rating of 7.6 so when giving a heat output of 10kw, the system is only consuming 1.4kw of input energy in optimum running conditions. 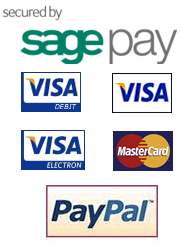 Hence you can see why these systems offer very good savings in running costs compared to more traditional methods. Take a look at the Hydropro brochure at the bottom of the page for full details on these systems.